Having 243 sculptures is a good thing for a small museum. Not having enough room to display them? Not so much. 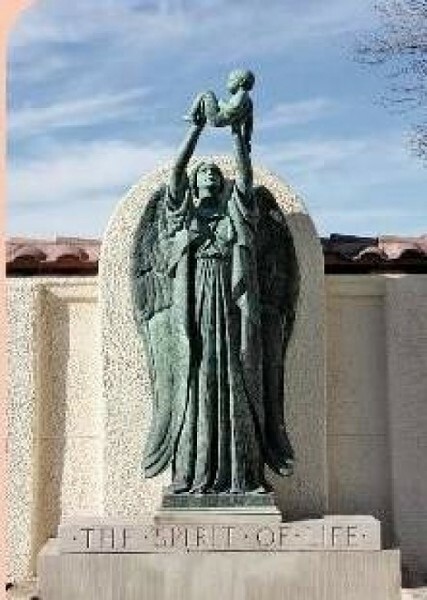 For more than five years, the Springville Museum of Art has been working toward an outdoor extension to serve as a permanent home for many of the sculptures in its collection, including Cyrus E. Dallin’s “Spirit of Life” (pictured). In May, the 24,000 square foot botanical garden finally opened—but now it’s time to make it officially official. On Monday, the museum hosts a free (but ticket-required) dedication ceremony for the Stewart Sculpture Garden, presided over by LDS Church Elder Dallin H. Oaks. Visitors are expected to be seated by 6:30 p.m. for a program that will include speakers and musical numbers, plus light refreshments. But really, the art is the star of the show. Think of it as a great big outdoor housewarming.